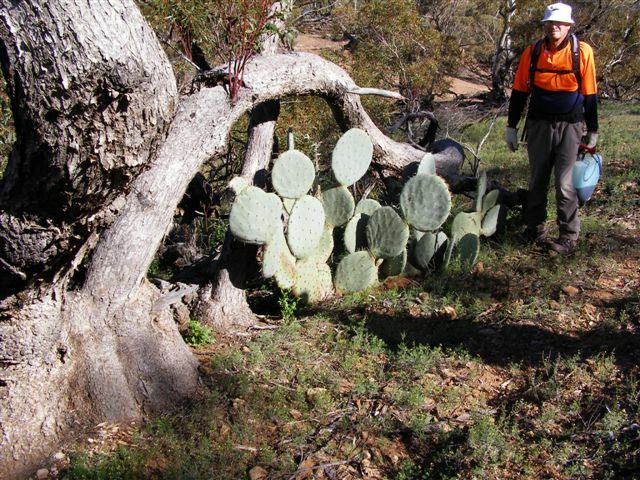 In August 2010, 17 members from three bushwalking clubs – ARPA, Four Seasons and Adelaide Bushwalkers gathered at Alpana Station, 5km south of Blinman, to search for and kill any Mexican Wheel Cactus found in one of Alpana Station’s six paddocks. A search site was chosen about 5km west of Blinman because it was accessible by car. However the area chosen had deep gullies and steep hills with scree slopes or rock walls. It was a challenge to keep a 100 m search-line straight! 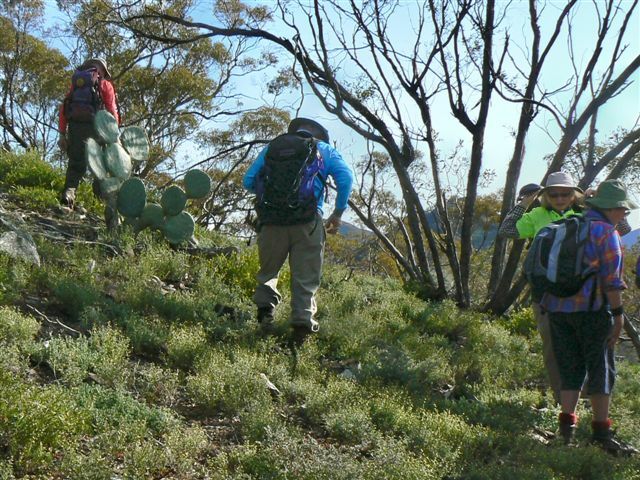 Walking was so tough that it took over three hours to go approximately three km to the boundary fence and then we had to return. 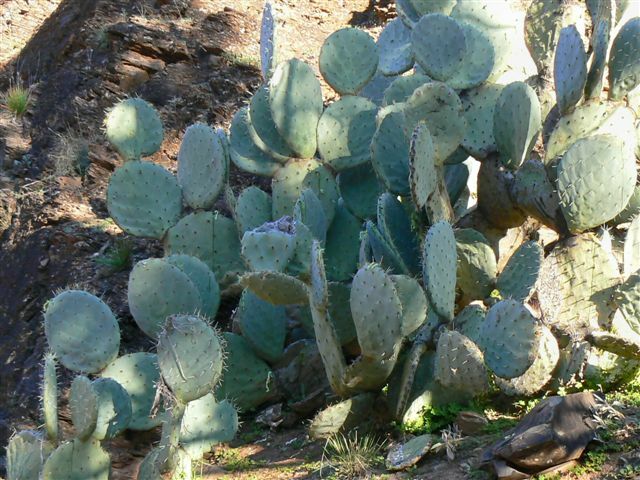 The time taken was due not only to the terrain but also to the over 429 cactus plants found and which took time to kill. The weather became as much of a challenge as the terrain. After four fine working days and the day off; mid-way through the fifth working day the heavens opened. It was a fast dash back to the cars through flooding creeks and gullies. 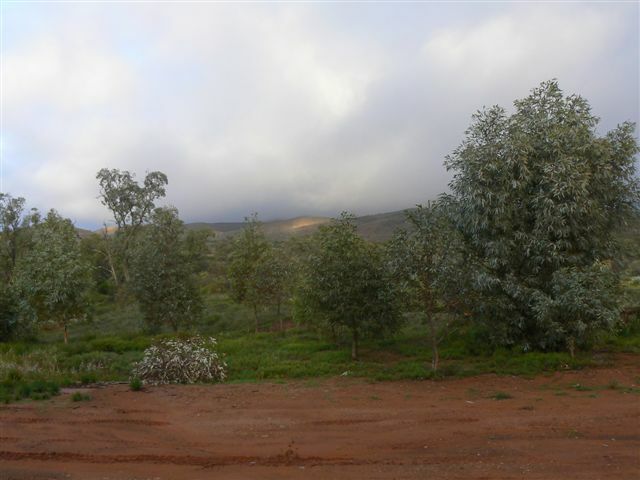 One car had to be left out overnight on a high spot as the Parachilna Road was only navigable by 4WD’s. The last planned working day was spent in the shearers’ quarters watching the wind and rain wreak havoc around us. 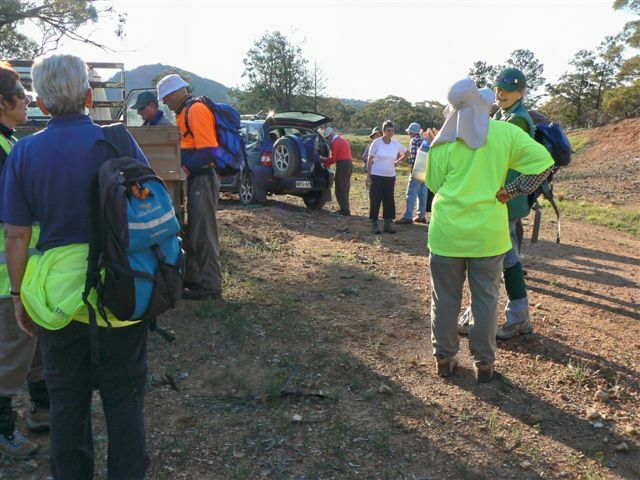 Heading home was a challenge of crossing trashed and flooded floodways all the way down to Wilpena. 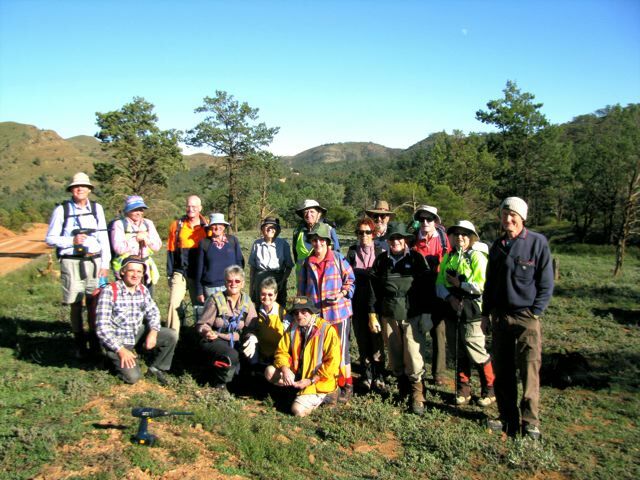 The group showed great interest in returning for further work in 2011 – an incredible show of determination from a group with an average age of 69.